Microsoft today introduced a new product search experience that is integrated directly into the main Bing website. The new feature will roll out “over the next few months” as the company says it still needs to fine-tune and improve when Bing will automatically show products. 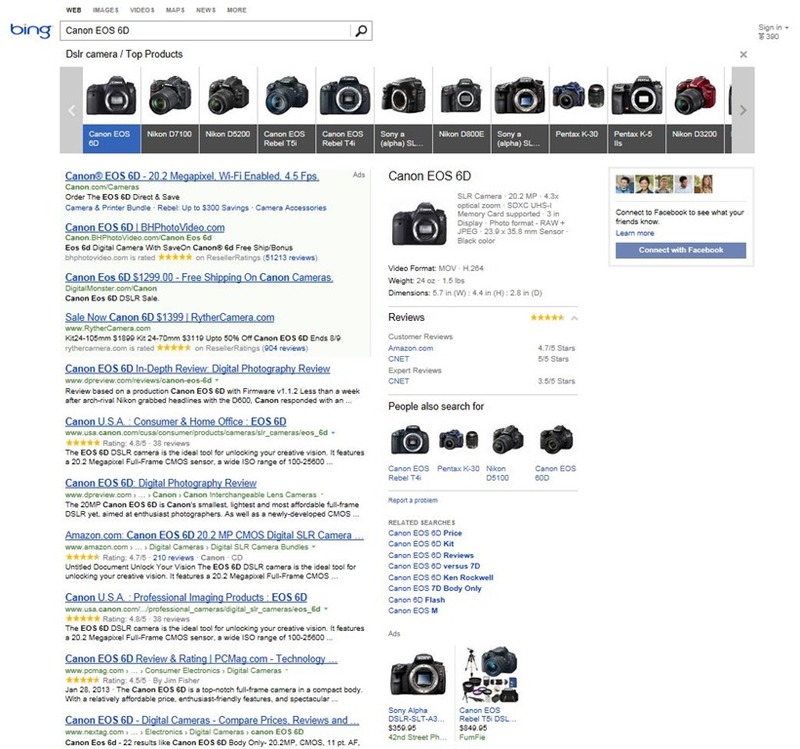 As part of the new product search options, pricing and availability directly from merchants will appear right inside search results in what Microsoft calls “Rich Captions.” Bing will also let companies buy new product ads with photos and pricing that show users offers from merchants across the Web. As you can see, Bing also surfaces more details for each product, like specifications and reviews. The company’s goal is to help the user make a decision without having to click to another page. Of course, a separate shopping experience doesn’t really make sense for a search engine as the discovery of such a service is very low. Microsoft has a hard time getting people to try and continue using Bing, let alone its now-defunct Bing Shopping option. It’s thus great news for Microsoft that the Bing team has finally figured out how to show shopping options when a user is searching for a product he or she may want to buy. We doubt it will work properly every time, but it shouldn’t be too much of a problem to see shopping options even when you’re not explicitly searching for a product, as long as the main Bing results are still there. Google is also pushing its own shopping experience, so Bing is naturally playing catch up here. We’ll test the two against each other once they’re both available worldwide.